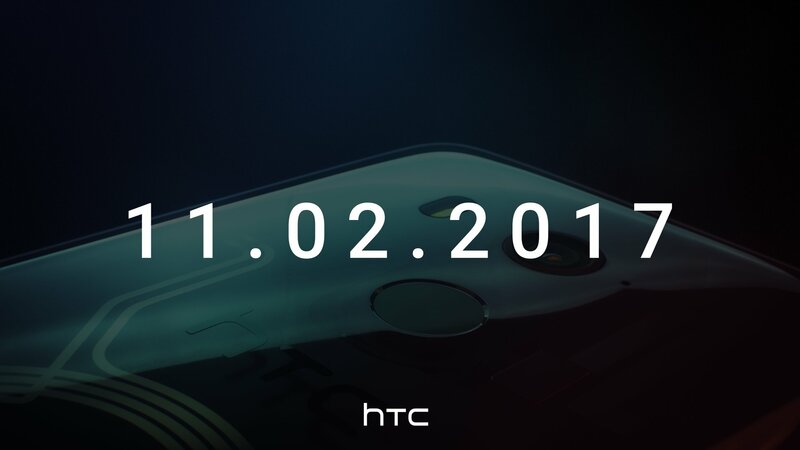 HTC is soon launching two new phones in different categories. So, one will be a mid-ranger whereas the other will compete with the likes of Galaxy Note 8 and the new Pixels. We are talking about the HTC U11 Life and the HTC U11 Plus. The former is the mid-ranger whereas the latter is the flagship device. It was speculated that HTC will be launching only the U11 Life on the November 2 event but seems like that’s not the case. Today, HTC has revealed that it is going to launch the HTC U11 Plus on November 2 and also confirmed some of the design details that we know via previous leaks. First of all, it is pretty clear that the phone shown in the background is the U11 Plus because is has a rear-facing fingerprint scanner that we have seen in the leaked renders and images of the phone before. Along with that, HTC has highlighted one more feature of the phone that we want to see in every new flagship, and that’s the wireless charging. The image shows the wireless charger outline under that glass back which suggests that it is going to be the first HTC smartphone featuring wireless charging. It is still not clear whether there will be an 18:9 display or a normal 16:9 display. OnLeaks had previously revealed the design via a video that shows normal 6-inch display. So, does ‘Plus’ in the name mean it is a larger sized variant of U11? We have to wait for some more details about the design of the phone. Till then, we stick to what OnLeak has revealed via his 3D renders. Stay Tuned.